Olga has been working as a childcare provider for over nine years. She provides a genuine child-centered learning environment, using play as a tool to gain experiences with a cooperative philosophy and active learning. Under Olga’s care, children enjoy safe spaces and practice consideration toward others while enhancing their wellbeing before they go to school. She is proud to be helping children in our communities, offering a holistic approach: creating classroom environments where child expression and choice are welcome. Children at her center have very limited TV screen times, as her Center ensures children invest in hands-on playing/learning activities, integrating opportunities to learn through socialization in friendly surroundings. Olga shared that often children, who are having some adaptation challenges being out of their home, feel welcome here and thrive under her care. In addition to physical activities, healthy eating is a huge commitment at her Center. 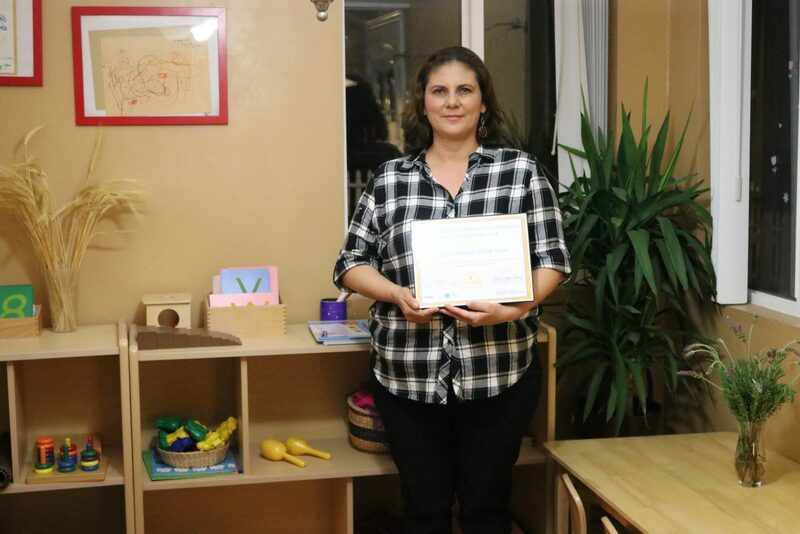 Because of her knowledge about the importance of nutrition for young children, Olga is fully devoted to providing a recognized Breastfeeding Friendly (Pro-Lactancia) San Diego bilingual center, inspired by promoting good health, physical, and learning activities for children. She is ecologically responsible, giving children opportunities to learn in a garden and to enjoy art using earth friendly materials. The center’s colorful spaces shine with all-natural cleaning products. No wonder she has a waiting list of mothers looking for excellent care! When she needs to refer clients from her waiting list, she takes it upon herself to visit colleagues, and she takes that opportunity to provide advice and mentoring when needed. Paramount for Olga is to provide excellent quality of care for children.